Across Elvis Presley Boulevard -- actually just down from the gates to Graceland. 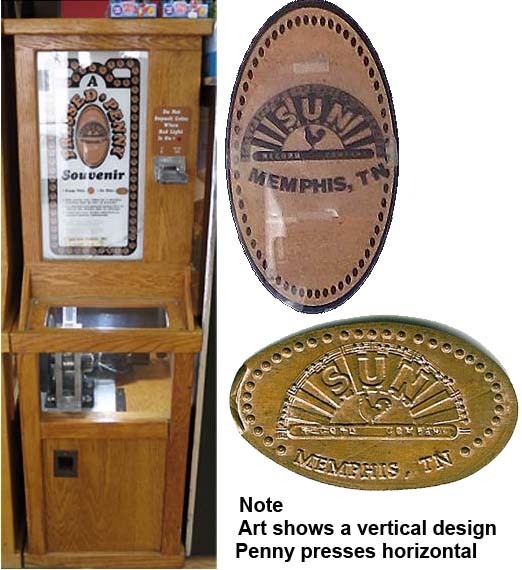 Electric Uncommon Cents machine which looks like a Jukebox. Machine 4 is a dime machine moved here from Blues City General Store. 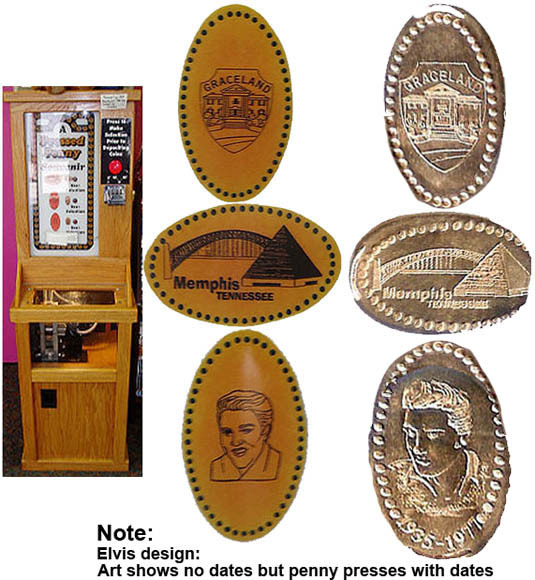 The design is: (V) Elvis s head,"1935-1977" (obverse); "Beale Street Memphis TN" (reverse). Inside the store.